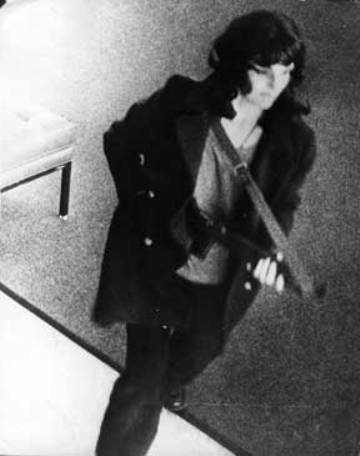 Patty Hearst has “Rocket”-ed back into news headlines, har har har. 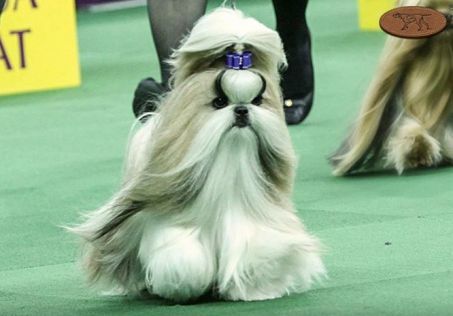 Her Shih Tzu, GCH Hallmark Jolei Rocket Power — aka “Rocket” — won the Toy Group at the 139th Westminster Kennel Club Dog Show last night. The Best in Show winner will be announced tonight. Hearst (who now goes by the name Patricia Hearst-Shaw), granddaughter of publisher William Randolph Hearst, was kidnapped by the Symbionese Liberation Army in 1974. A photo of her, holding a semiautomatic rifle while robbing a bank, went what would have been considered viral back in the ’70s. She spent nearly two years in prison, but her sentence was commuted by President Jimmy Carter. She was later given a full pardon by President Bill Clinton. About 10 years later, she became involved in showing dogs. Among those “other things” Hearst-Shaw has are show dogs. She primarily shows French Bulldogs, one of whom won a ribbon yesterday. She co-owns Rocket the Shih Tzu with two others. While Hearst-Shaw said she is a dog lover, her two daughters have cats. “I don’t know what I did wrong,” she told reporters. The 139th Westminster Kennel Club Dog Shows airs live tonight at 8 p.m. ET on the USA Network. And just a reminder to adopt, not shop — many shelters and rescue groups have purebred dogs waiting for forever homes.